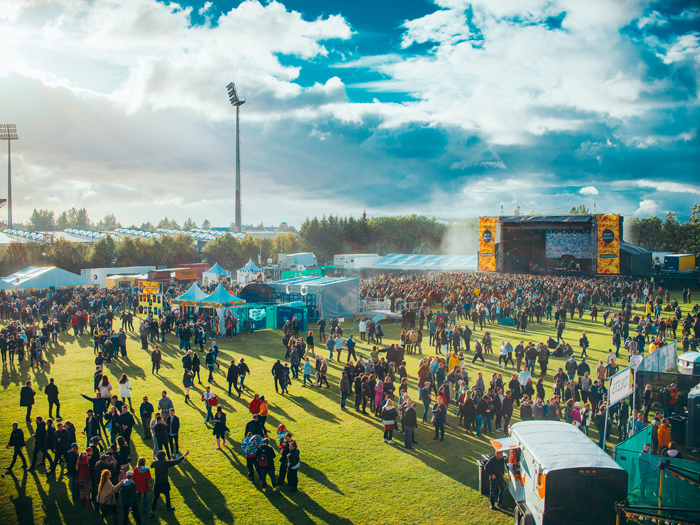 Iceland’s Secret Solstice hosted its fifth anniversary edition from June 21 – 24 during 96 hours of constant daylight. Featuring performances by Slayer, George Clinton & Parliament Funkadelic, and Stormzy, the festival made a number of interesting additions to this year’s proceedings and maintained its staunch commitment to sustainability. Insights spoke with Secret Solstice’s Director, Fred Olafsson, about what makes the festival unique, its latest environmental measures and more. Festival Insights: What were the main areas of the festival that you focused on improving and expanding this year? Fred Olafsson: This year we introduced RFID wristbands, making us the first festival in Iceland to go cashless. We also tapped into Iceland’s National Grid as one of the first festivals to run entirely on geothermal energy sources without relying on generators powered by fossil fuels. As part of our commitment to reduce the festival’s environmental impact, we also enforced a total ban on plastic straws onsite, making Secret Solstice one of the most environmentally friendly events of its size in the world. We also had a new partnership in place with lead sound system provider, Harman, showcasing the newest Fly Array system – one of the biggest rigs in the world. For the first time, Secret Solstice fell during the highly anticipated FIFA World Cup and to celebrate the festival hosted a special live screening party on June 22 as Iceland took on Nigeria. Finally, we launched the first ever festival Silent Disco to take place in Iceland, hosted by Red Bull and soundtracked by Carla Rose B2B Elsa, Colin Perkins, Oculas, SURA, and more – with fans able to choose between a hip-hop and a techno channel. FI: The fifth anniversary line-up was suitably huge, with Slayer, George Clinton & Parliament Funkadelic, Stormzy and more. What makes Secret Solstice’s approach to programming unique? FO: The festival’s line up offers something for everyone: a well-rounded mix of established national and international artists, plus a stage for emerging talent. 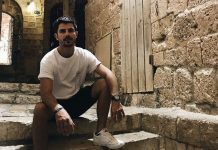 The event is centred around bringing together a variety of music and culture​, as Secret Solstice blends a family feel with the feeling of adventure. Artists love performing here too; we’ve had artists return year on year following the boom of their music career. We create this amazing balance of established artists and up and coming underground talent. FI: This year saw the return of the festival’s million-dollar ticket, which afforded its lucky owner a huge array of extravagant benefits. What was the thinking behind launching the ticket, and isn’t it a logistical nightmare to organise such a crazy list of perks? FO: We wanted to cater to the luxury lifestyle market and the growing influx of destination travellers looking for the ultimate Icelandic experience. The aim was to create a full service luxury music package that had never existed before. Even though it is a million dollar ticket, it wasn’t just about providing ostentatious displays of extravagance but giving the rare opportunity to do, see and experience the most unbelievable, unique things that Iceland has to offer. This luxury package included everything: transportation in a private jet, daily access to a glam squad, a VIP yacht party, and a helicopter tour over the glaciers and volcanoes of South Iceland. We pride ourselves on pushing boundaries to provide that extra special and unique offering to our festivalgoers at the Secret Solstice. This bespoke package and once in a life time experience far outweighs any logistical admin! FI: Amongst the other impressive unique selling points listed above, Secret Solstice is the only festival in the world to host a public gig inside a volcano. Was that an ongoing feature in 2018, and did you add any other crazy elements to the festival? FO: We’re now in our fifth year and we pride ourselves on the fact that Secret Solstice continues to create innovative events and experiences. We aim to bring something different by sharing Iceland through music and creating ‘firsts’ for both the industry and the country. The events are music-driven and inspired by Icelandic nature, harnessing the exclusive natural landscape of the country. The events are carefully curated and considered in every aspect of music and production. This also means that we have to be very respectful of the historic landmarks. Their protection and preservation are very important to us as we want to ensure that we can continue to create these unique experiences for the future. Secret Solstice is always about the music, the experience and bringing our guests something they may not have ever experienced. We combine the music with these unique Icelandic experiences to elevate what we have to offer. Iceland will always be a place that you will want to explore and will always have a strong cultural and music community, so it makes sense to create music festivals that highlight them both. The first of these experiences is the Lava Tunnel. Raufarhólshellir is a 5200 year old lava tunnel that once flowed with an active volcano. It is a tube of magma rock formed by molten lava. 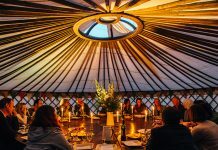 For the last couple of years we have hosted super intimate gigs inside Raufarhólshellir as part of our unique music experiences. Fifty guests are able to experience the beauty of the landmark, soundtracked by an acoustic set from specially curated Icelandic artists. It is one of the few, if any, chances to listen to an amazing set and explore a rock formation formed by the path of a volcano. For 2018 we brought festivalgoers the first Geothermal Pool Party, which is filled directly from a hot spring above it. Guests were able to party in water naturally heated by a hot spring, all while enjoying stunning mountain views soundtracked by All Day I Dream label head Lee Burridge and mainstay YokoO. We also continued to host our classic party that happens deep inside a glacier cave. FI: Is there anything else we should know about Secret Solstice? FO: We are currently working on an even bigger line up for 2019 and will be announcing some really exciting headliners later on in the year! On July 24, Solstice Productions will bring the notorious Guns N’ Roses to Iceland for a historic, massive scale production. We will be breaking records for the number of Icelandic attendees with something like 8% of our whole country present, alongside international ticketholders who are flying in to watch this momentous event. Following that we plan to host more standalone gigs of all different sizes.